You don't have to be from Louisiana to master this recipe. Our Test Kitchen Professionals teach you how to cook the perfect gumbo. [MUSIC] Hi, I'm Norman, from the Southern Living test kitchen. Gumbo is an iconic Southern dish that has as many variations as ice cream has flavors. However, a few things remain constant. A roux is the backbone of the recipe. Followed by the holy trinity of onions, bell peppers, and celery. And spices like creole seasoning, bay leaf, and thyme. The protein can range from meat, poultry, or seafood. Or combination. This chicken and sausage gumbo aims to please. And is one that you'll make over and over again. The first step to making our chicken and sausage gumbo, is to brown the sausage. We do this in a dutch oven, over medium heat with no oil, because we wanna render out all the great flavor that's inside the sausage. You know your sausage is gonna start to get done when they start to sweat and just get a light hint of brown. We don't wanna go too dark. [SOUND] Because we're gonna make our roux in this same pan, so we're just building our base of flavor for this gumbo. And now that our sausage is just about brown, we're gonna take it out and put it on some paper towels to soak up any excess grease. And I'm using tongs so I don't remove too much of the oil, cuz that's gonna be the foundation of flavor. [NOISE] Next we're gonna add our chicken breasts, and then we're gonna brown these for about four minutes on each side. [NOISE] So once our chicken is golden brown, we're gonna remove it. And use all of these wonderful brown bits to make our roux. This is going to add more dimension, more taste, more flavor to this gumbo. To make this roux, we're using vegetable oil and flour. And I like to sprinkle it in on the top so it gets a even distribution throughout the pan. [MUSIC] The key to making this roux is to not stir too hard. So that way, the oil doesn't pop up and burn you. And also, take your time and stay at the stove. This is about a 20 minute process for this recipe. So our roux is ready, and now we're going to add our vegetables. [SOUND] So we're gonna add in the trinity which is the onions, bell pepper, and celery. And we cook this for about five minutes or so, until the vegetables are tender. The next step is to stir in some hot water. And we want it hot so that it doesn't break our roux. That means our fat and our flour don't separate. Next, we'll add in the spices, a couple bay leafs, a little bit of dry thyme, and some creole seasoning. Next we'll add a little bit of hot sauce, and some Worcestershire sauce. Next we'll stir in a couple cloves of chopped garlic. And then we'll add our chicken back into the gumbo. And we'll bring this up to a boil, reduce it to low heat and let it simmer for about an hour until the chicken's cooked. Okay. The chicken's cooked for about an hour, and I'm gonna take it out and put the sausage back in the pot. We take the chicken out to keep it from overcooking and breaking down a little too much. Once the sausage is in the pot, we're gonna let this cook for about 30 minutes. And we're also gonna let our chicken stand for about the same amount of time. So, that way it's cool enough to handle and we can shred it and add it back to the gumbo. So this has been cooking for about thirty minutes. I'm going to add about four sliced green onions to this and let it cook for another 30 minutes. So after the chicken has rested for about thirty minutes, I'm going to shred it and add the meat back into the gumbo. Next we'll stir in our shredded chicken. [MUSIC] And then we'll let this cook for about five minutes. So our gumbo is finished and I'm going to add a touch of File powder, which is just ground sassafras leaves. This gives it a little more of a pungent taste and helps it thicken up just a little bit more. [MUSIC] To plate this up, we serve it over hot cooked rice. And you just spoon your gumbo right over top, being sure to grab a little bit of that sauce thats thickened up real nicely from the roux. Has a wonderful slow cooked aroma. And the taste is just heavenly. So now our gumbo's pretty much done. I'm just gonna add a little flourish. Of green onions on top. And there you have it. A classic chicken and sausage gumbo. 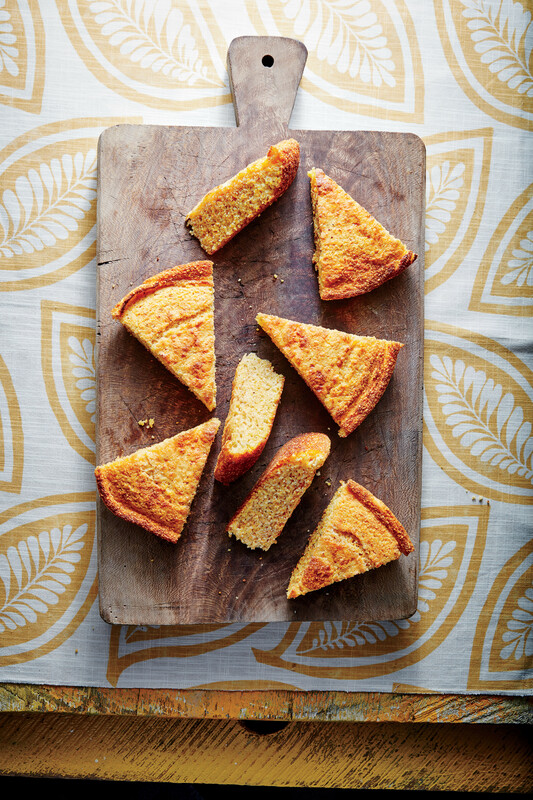 For more great recipes, check out Southern Living.